The Asgard cycle maintenance store gets the thumbs up! As promised he is my update on your shed/my bike shop! It’s a bit long, but you asked me to be honest. As you know as I really pleased with the original delivery, the unit was on time… even though I had forgotten to get my base down in time. So your delivery lads carefully stacked the unit in my garden for me. My base was down a week later – at a cost of £100 + VAT. I used a local concrete firm who came along and simply poured a few cubic meters of concrete into a hole I had dug. The process took about 20 mins, no mixing concrete by hand for me! That’s my top tip for anyone thinking of buying one of these big Asgard units and needs a base putting down. Mixing concrete for a base 2.2 x 2.2 x 100mm deep is a lot of heavy mixing work. I worked out the cost for this would be £70 in materials and mixer hire, it just made no sense to do the work myself. I won’t lie to you, when you lay out all the bits and look at the number of screws, this looks like one intimidating piece of kit. The saving grace is the instruction sheet, looks a bit like an engineering manual, but is actually really clear and easy to use. The stickers on each panel identifying what they are is a touch of genius, as at first glance all of the panels looked the same to me. Building this metal unit is heavy work, this being one of your biggest sheds I can see why you recommend 2 people carry out this task. The sides are easy enough to pick up and manoeuvre, though it is near impossible to hold two sides at once and screw then into the base. Believe me I tried. The front fascia’s are light and easy to manoeuvre, when you get onto the doors though you are in to a different world. They were heavy things. Due to the raised base lip you need to lift the door about 10mm off the base to get the hinges to line up with the fixing holes. 10mm is not much, but takes a fair bit of effort to hold a door steady ! I didn’t bother bolting down the unit, I know this would give me increased security, but lets face it, this shed is immensely heavy. No one will move this. Besides I have a ground anchor, which will bolt down through the base to act as a secure point. Finally the roof. I thought the doors were awkward! The roof and top cap really needs to built on the ground and then lifted onto the shed. We tried to build the roof ON the shed. No chance. The roof is integral to keeping the shed perfectly square, so lowering it, squaring it up and screwing together all at once is impossible. Two aborted attempts led to the conclusion that we should build it on the lawn then lower into position. That worked a treat. A tip here would be watch the fingers! When the roof suddenly drops into place on the shed it drops an inch down onto the walls….quickly. Any fingers in the way will be squashed. Not that easy. I had to cut a square out of the wooden floor a good 6 “ bigger than the Anchor (to allow room for the chain) THEN screw through the base of the unit – a real pain to do and probably not worth the effort. That’s the build complete. Now in use. Cracking unit in use. A third tip here. I forgot to run a line of silicone down the joins as per your instructions (missed that bit to be honest). So, the 1st windy/rain day I had a leak through the roof (under the capping joint) Not a huge leak but enough to annoy me. I ran the silicone all around the unit retrospectively; luckily you supply clear silicone, so you can hardly see it. From that moment on the unit was water tight. I ordered your full shed pack, shelves, hooks and flooring. The flooring – I thought this was too much money when I bought it, for what I thought was chipboard. Then I tried to lift it. What is it? Its heavier that the rest of the unit put together. Really good quality stuff. Watch the fingers when dropping into place though! Shelves – Well worth having – great for oils and tools. If you are smart, you put a shelf low down and use it as a maintenance platform. Hooks – really handy. I ordered 10, seems a lot, but once you have a couple of back packs, a helmet and a few waterproof items up there, they soon fill up. Another tip for your customers here. Get to Wilkos and buy some plastic storage boxes (£6.00 each) divide your riding gear into winter and summer boxes and stack them. Really handy. I do have a garage, but like most peoples its full of prams and tools, here in my “man zone” there is only bike gear. I have a bike maintenance stand which I stand just outside the shed door. Perfect I can keep out of the wind whilst I am prepping my bike. I don’t bring the bike in as the oil would ruin the floor. The shed gets a little warm in direct sunlight, so I don’t stay in there too long on nice days, on a cold day it’s a great shelter from the wind and rain. In terms of security, I really have no worries at all. This is a really solid unit, I can’t imagine anyone getting in without a metal saw. Conclusion. Great shed – but get a mate to help and for your own sanity buy an electric screwdriver. I hope that is enough. Feel free to use this review in any way you see fit”. See the full range of Asgard cycle garages here. Should cycle lessons for children be compulsory? After the report from the APPCG (All Party Parliamentary Cycling Group) was released, the debate as to whether children should have compulsory cycling lessons has re-emerged. What do you think? Should children have compulsory cycling lessons? It is being argued that cycling should have the same status on the National Curriculum as swimming and children should be having lessons from the age of 5 years old, as it is an essential life skill. Critics have attacked the recent proposal of a change to PE lessons for children aged 5-14. This overhall has a focus on swimming, athletics, dance and team sports such as football, netball, rounders, basketball and hockey. There is no mention of cycling and this is thought to be a major oversight. ‘Bikeability’ is the National Standard for cycling training, but just half of children in the UK get access to it, through schools. Should cycle lessons be compulsory? It is argued that by the time children are age 5, they should be capable of controlling a bike in off-road conditions and at age 14, pupils should have knowledge of riding on local roads, be able to communicate with other drivers and have a basic understanding of the Highway Code. Learning to use a bike safely and on road conditions is a great skill for children to have, however the majority of UK roads don’t have the correct infrastructure to provide people with the ability to cycle safely, leaving children and parents put off by the possible dangers that come with cycling on the road. National Bike to School week is just a few months away (June 10th -14th) and this could be many schools opportunity to trial out cycling lessons with their pupils. Find out more about Bike to School Week 2013. One problem that schools have with cycling and pupils cycling to school is that few schools have ample bike storage for all students. If your school is in need of more bike storage, Asgard have a wide range of cycle racks available in a variety of sizes. In 2011 it was found that only 1% of primary school children and 2% of High School children in the UK cycle to school. This is a poor figure especially as most children’s journeys to and from school, is relatively short. 1 in 3 children however would actually like to cycle to school, but are faced with opposition from parents and schools who are (quite rightly) concerned about the safety of cycling and stranger danger. Although parents are right to be concerned about these issues, if children are properly informed and given the right bike safety training, cycling to school is a good activity for children to participate in. One of the most important things is your child having a safe route to and from school. Try a few routes out together, to find the most suitable one. 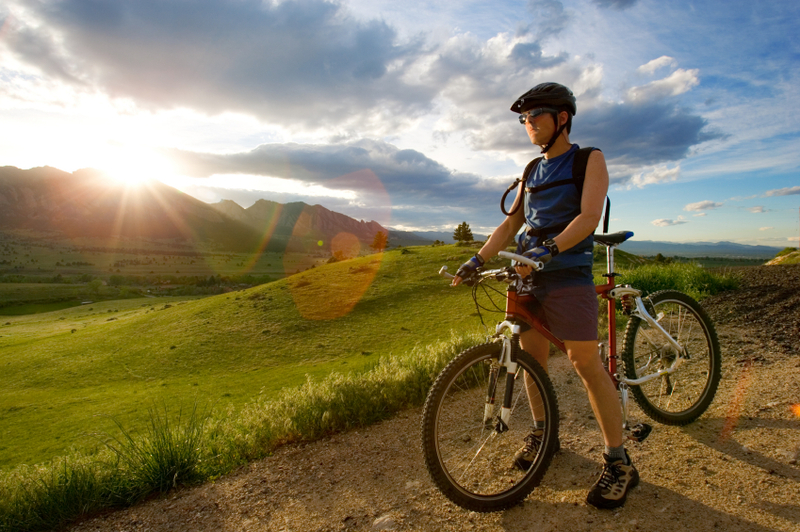 The national cycle network can help you find the nearest cycle lanes and traffic free areas. 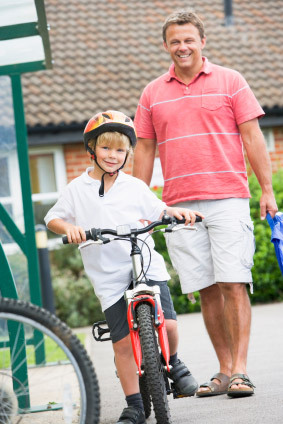 Make sure your child has the right sized bike, which is suitable for cycling on the road. As your child will be spending a lot of time on their bike, it is worth investing the time to get the right one for them. Making sure your child is road ready is important. Make sure they take part in bikeability, the national cycle training, which will give your child the right training they need to be safe on the road. The more time your child spends on their bike, the better and more confident they will become. Take your child out on their bike as much as you can, to make sure you are confident in their cycling abilities. 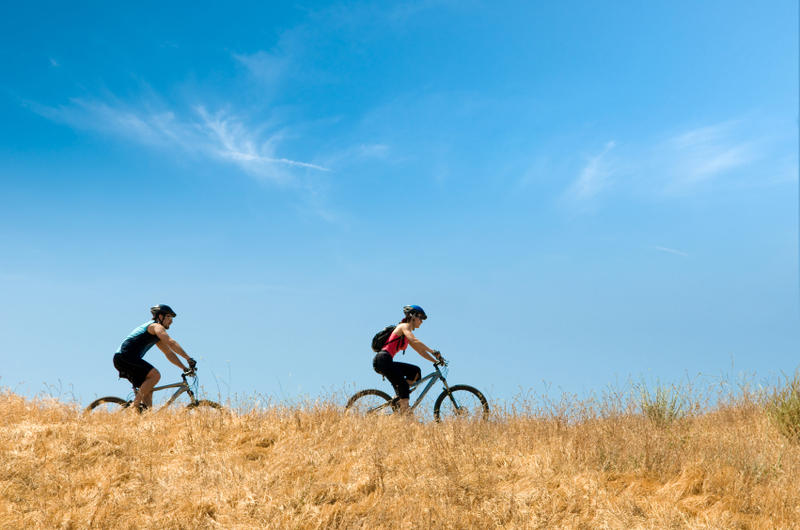 Let them cycle with friends. Giving your child the chance to go out with a group of friends will give them to chance to build up cycling confidence. Also finding a buddy to cycle to and from school with is a great idea. If more children are to cycle to school it is important for the school, pupils and parents to work together for a better cycling culture. Suggest that the school have an area for children to store their bikes. The more of this available, the more children can cycle to school and use the facilities provided. Bike shelters can hold a large number of bikes and keep children’s bikes safe until the end of the day. Take a look at a full range of school bike shelters from Asgard.